The media is trying to help Hillary Clinton by claiming there was little influence by Bill Clinton in the NAFTA agreements as they are today, and get Trump to bash the large Republican impact in the passing of NAFTA. This whole semantics word game is over what exactly it means to sign a law. George H.W. Bush signed the NAFTA bill when he received it from Congress (Step 7 in the graphic below). After receiving a bill passed by Congress, the President has 10 days, excluding Sundays and holidays, to decide the measure’s fate. The President can sign it into public law, veto the bill, or choose not to take any action. George Bush signed the bill but was out of office by the time it needed to be signed for actual implementation. 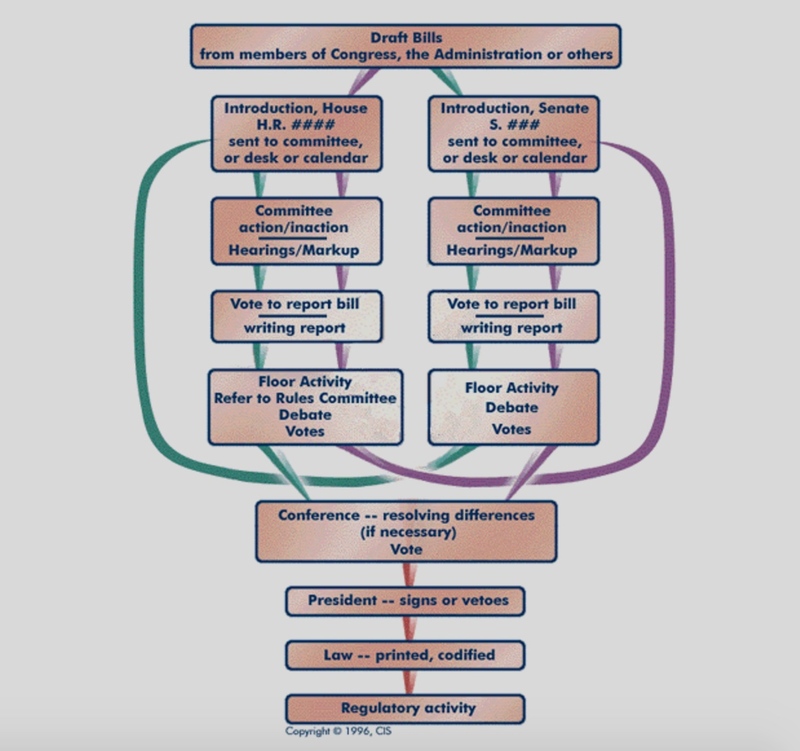 The NAFTA bill had to be signed for implementation and Bill Clinton did that (Step 9 in the graphic below). 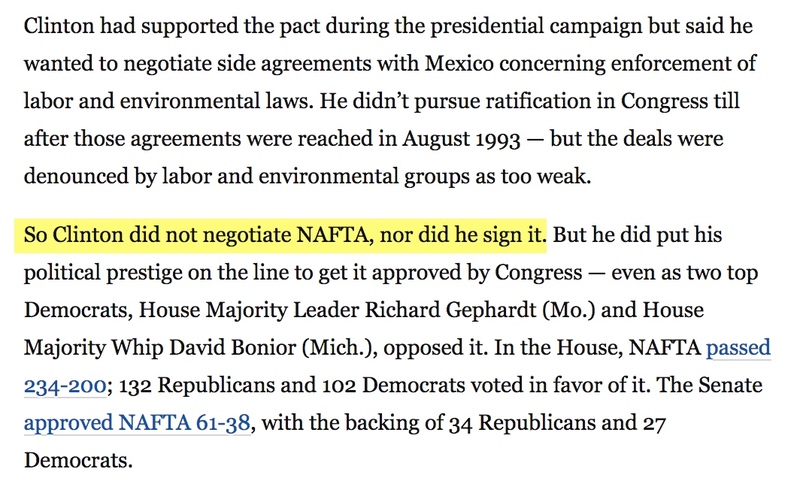 Washington Post article where they complete ignore that Clinton signed the NAFTA implimentation.